Coming back from surgery wasn’t easy as it took some time to get the feel and confidence back in every aspect of my game-footwork, strokes, rhythm, timing etc. Since it was my first ever surgery, I wasn’t quite sure how my body would react or how quickly the knee would recover. I was fortunate to be operated on by a great orthopaedic surgeon, Mr. Ray Moran at the Santry Sports Surgery Clinic and he certainly helped by explaining the procedure and how I could expect the knee to heal. My first few days were spent on crutches waiting for the inflammation to go down and then I got straight into a comprehensive rehab programme which involved strengthening up my quadriceps, core and upper body. I have to thank my physical therapist Gerard Hartmann for his fantastic treatment, guidance and expertise as well as Mark McCabe and the whole team at Sports Med Ireland for their help and support with my rehab, strength and conditioning. 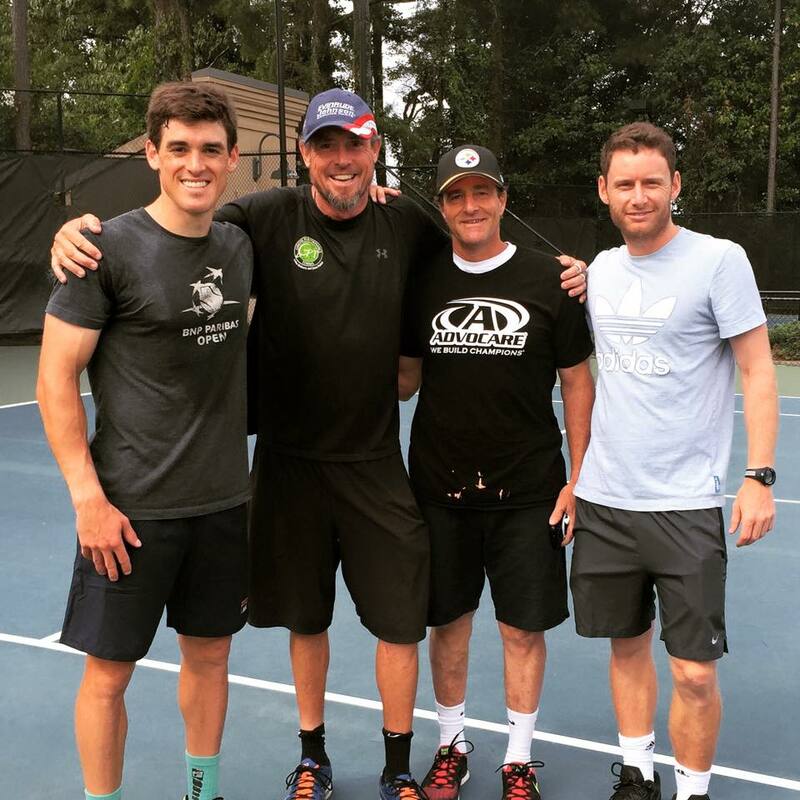 After a couple of weeks of rehab in Ireland, I flew to Atlanta so I could gradually pick up the level of intensity in my training. Atlanta has become a home away from home for me, thanks to some close friends I’ve made over the years and it is a city I love returning to. 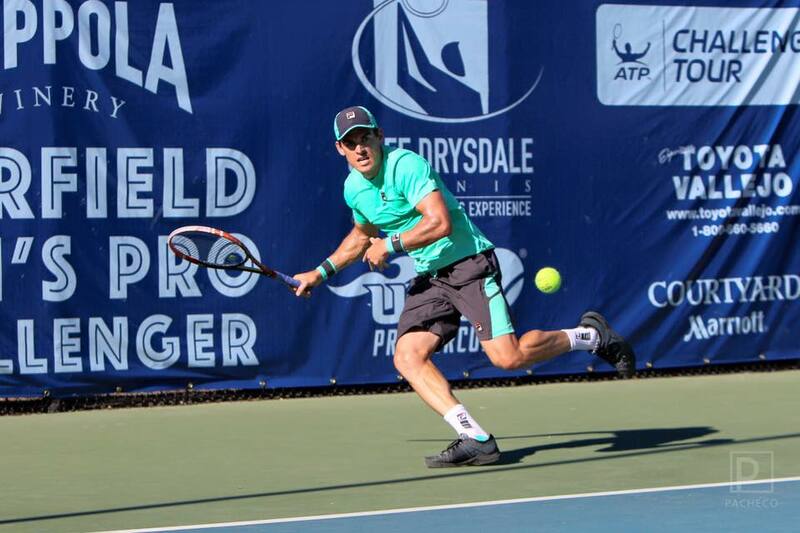 After a few weeks of tough training, I felt it was time to get back competing so I headed back out on the road for a series of Challenger events on the west coast of the U.S. My ranking slipped outside the top 150 as I hadn’t been earning any ranking points for 3 months and I was determined to get back on track. I was making daily improvements in my game throughout my training and I felt good going into the first week. My only concern was my lack of match play as I hadn’t played a competitive match in almost 3 months and I also didn’t know how my knee would hold up after the stresses of a full competitive match. Thankfully, my knee and physical condition were not an issue throughout the few weeks of tournaments but I did struggle to find my rhythm and general form. I ran into some in-form players the first couple of weeks and couldn’t quite get over the line when it counted in the matches. I felt I was playing at a pretty high level considering I hadn’t competed in a while but I just didn’t execute when I needed to. I did have a good win over ”The Great Dane” Freddie Nielsen in Fairfield, California but didn’t keep up the momentum for the next match. It was obviously disappointing not to get the results I set out to achieve but I have to remind myself to be patient and trust in the process, especially after returning from a serious injury. Tennis can be extremely frustrating at times but it is a great teacher in teaching acceptance. Nothing is ever perfect in this game. I have to admit, I wasn’t feeling on top of the world after my last few tournaments and I found the final two weeks of tournaments particularly difficult as I travelled to them alone without my coach, who I usually travel with to most tournaments. I was handed a prize money receipt for $344 after losing early in the first round of my last event and realised that that wouldn’t even pay for my car rental for the week, never mind my food, flight and other expenses. 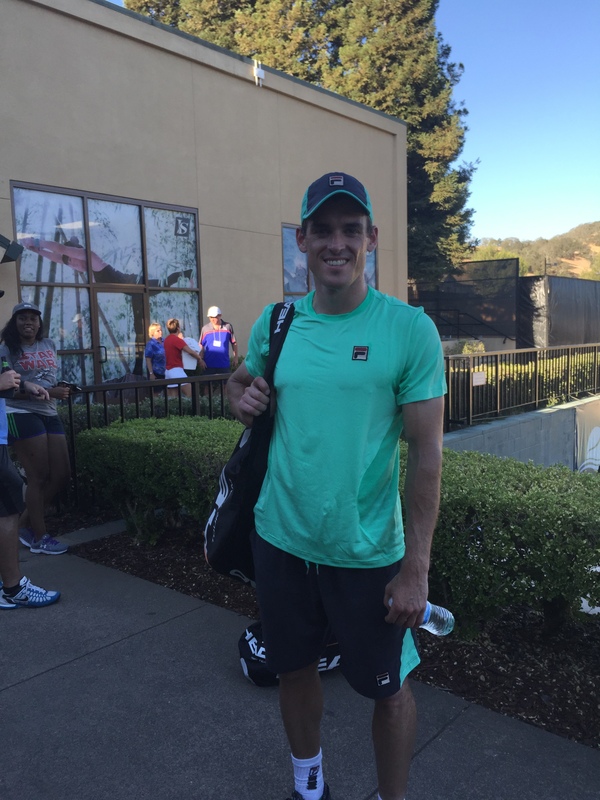 Tennis can be cruel at times and it’s even tougher if you don’t know how to handle defeat. I’ve had some really lonely moments in different hotel rooms after losing tight matches in the past (more so ’09-’13) and the worst thing you can do is dwell on it and beat yourself up. One of the most important things in tennis is to enjoy it but there were many times over the years that I found it really tough. Maybe it was because of the loneliness I felt in my hotel room after losing a tight match, or the loneliness I felt while traveling from airport to airport. Maybe it was the tough early losses in tournaments held in the middle of nowhere, or the fact that I was losing money every week, or the fact that I couldn’t share my highest moments with anyone. These feelings don’t lead to anything positive which is why I always make a conscious effort to remain positive with my words, my outlook and to remember why I am playing in the first place. For me, enjoyment is the single most important reason why I decided to dedicate my life to tennis. It is also probably the most important emotion to feel in the game when playing. Not only does it feel good (probably the endorphin rush), but it leads to better performance which inevitably leads to better results. My love of tennis goes back to when my Mom taught me how to play when I was 7 or 8 at my local tennis club, Castleknock LTC and it was then that I discovered my true passion for the game. Through this enjoyment, a dream grew in my mind of becoming a professional player and it wasn’t long before I started to believe in my dream and in my ability to achieve it. Now and then, I remind myself of these important reasons, especially if I ever go through any of those tough moments. Keeping a positive frame of mind, remaining inspired and enjoying the process are really important things to focus on while on the tour. One of the things that always seemed to help me was reading positive material or listening to interesting audiotapes. I’ve always been drawn to reading spiritual books or even self-help books as I felt they gave me the fuel to continue on and keep pursuing my dreams. They also gave me a fresh perspective on life, a new way of seeing things and taught me some really powerful lessons like the importance of gratitude. 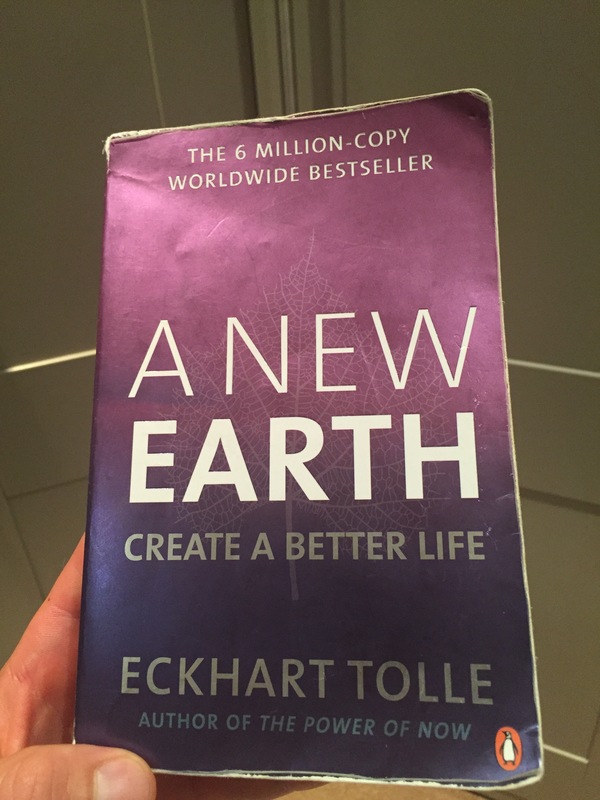 I continue to enjoy reading these type of books from time to time but I can tell you that they really helped me whenever I was alone playing Futures Tournaments week after week in Syria, Morocco, Tunisia, Israel, Bahrain, Egypt, Kazakhstan, Turkey, Indonesia, Gabon and a load of other places across the world. I remember reading a lot of this stuff even in my teens and have read everything from Eckhart Tolle, Paulo Coelho, Wayne Dyer (and many others) to all sorts of interesting autobiographies. It’s pretty uplifting stuff and definitely helps keep the spirits high! I would also like to thank my new clothing and shoe sponsor FILA for their support. 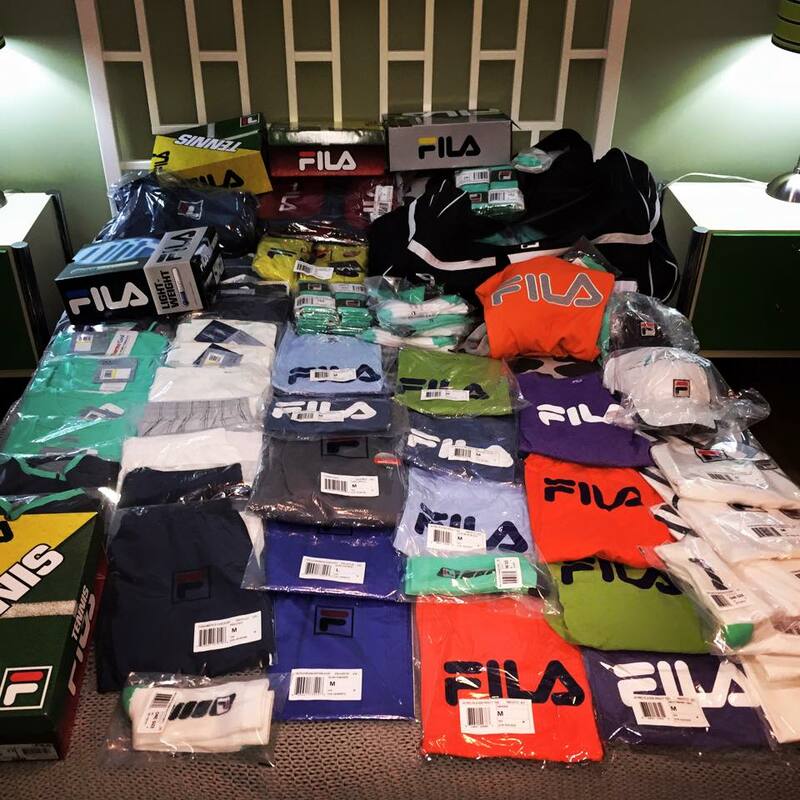 It’s my first time getting support from a clothing and shoe sponsor and I am delighted to represent FILA as I love their style and quality of clothes and shoes. I want to thank Ding, Head and Solinco for their continued support of me too over the last few years as well as those who have supported me privately. They have all been fantastic and very supportive and I am so grateful. Please click on the links to see what these great companies are all about! Finally, I would also like to thank Aer Lingus for their support. 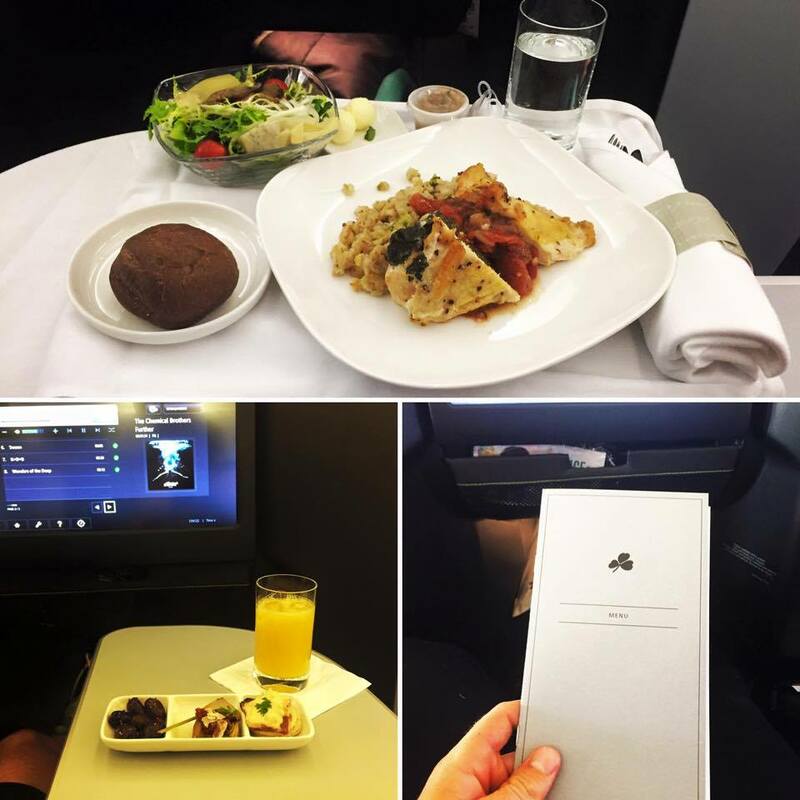 I’ve flown with so many airlines 40 weeks per year over the last 7-8 years and I think Aer Lingus is right up there with the best of them when it comes to the quality of food and service provided. They are absolutely fantastic and I am delighted to be travelling with them. Thank you Aer Lingus for your support! I hope to compete in one more Challenger event in Europe before I end 2015. After this, I hope to put in some strong pre-season training so I can get ready for a bigger and better 2016! 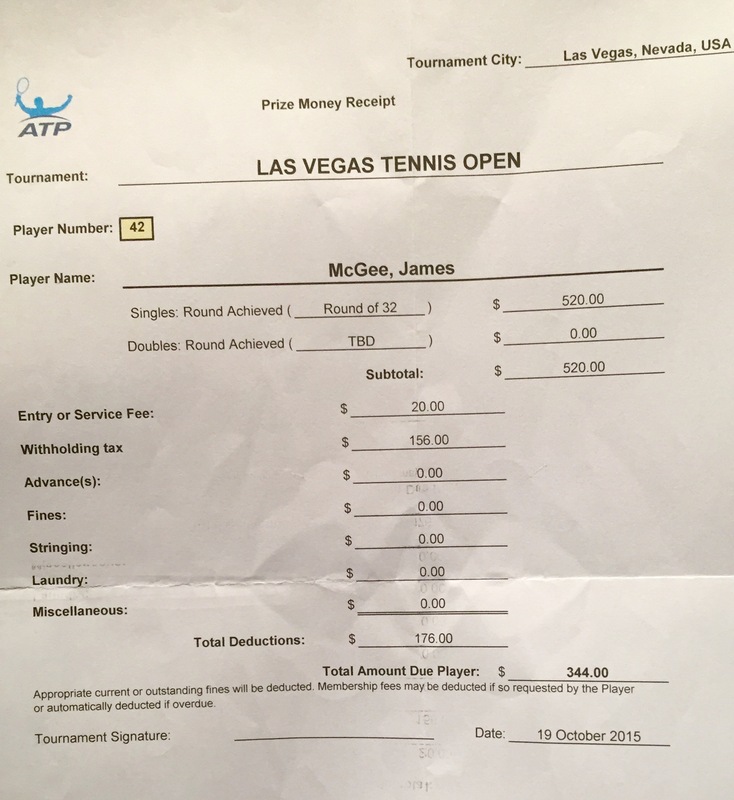 This entry was posted in ATP Tour, Challenger Tour, Coaching, Development, Finance, Futures, General, Information, Irish Tennis, Junior Tennis, Sponsorship, Tour Life, Tournament, Uncategorized, Update and tagged a new earth, aer lingus, body, california, castleknock ltc, challenger tennis, challenger tour prize money, challengers, ding, eckhart tolle, enjoyment, enjoyment tennis, fila clothes, fila tennis, futures tennis, gerard hartmann, getting back on course, head rackets, Irish Tennis, James McGee, james mcgee facebook, james mcgee instagram, james mcgee ireland, james mcgee tennis, james mcgee twitter, joe o' dwyer, junior tennis, loneliness, mark mccabe, mind, nick cavaday, passion, paul fortunato, paulo coelho, prize money, purpose, ray moran, san francisco, santry sports surgery clinic, solinco, spirit, sports med ireland, wayne dyer. Bookmark the permalink. Best of luck for 2016. Keep doing what you’re doing and enjoy the journey. We are all gunning for you in 2016. I don’t think it’s ended, but yes, keep posting. 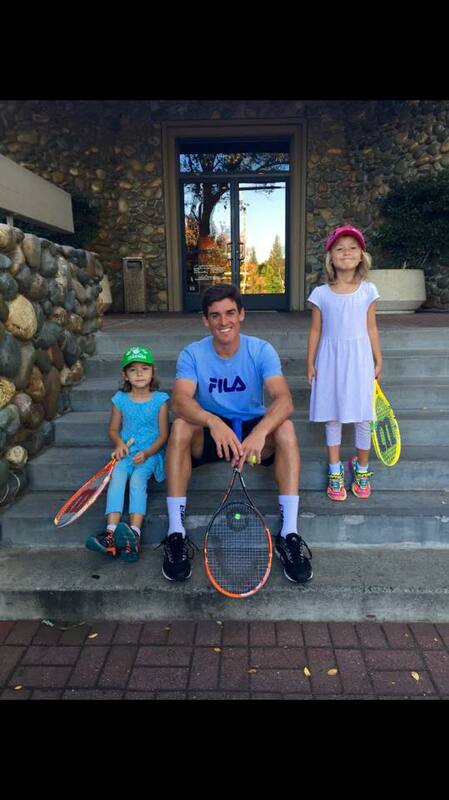 My son wants to be a tennis player as well:) …hard digging though!